Are we getting more litigious in family cases? The Green Paper on legal aid suggests that legal aid has encouraged too much litigation but provides no evidence to support that assertion. 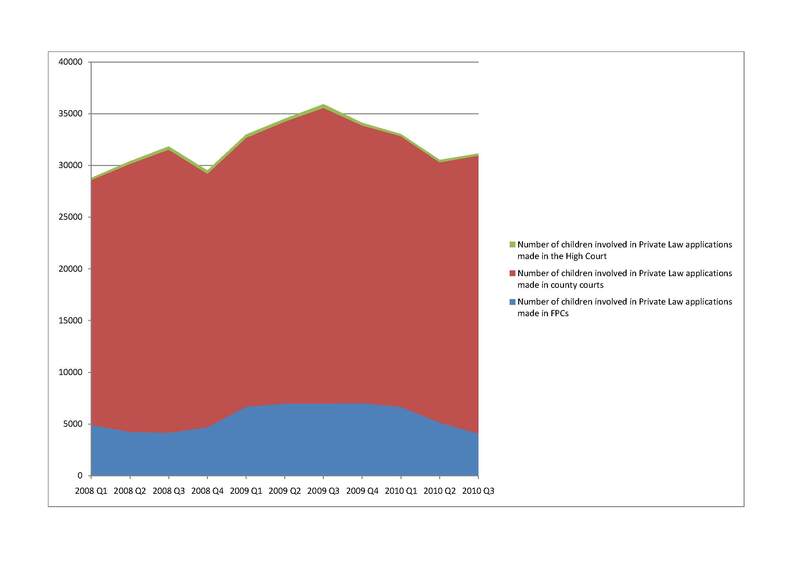 Having blogged already on this in the context of personal injury cases generally and specifically in relation to cases being brought against schools, I came across data on recent trends in the family court one of the areas to be hit most significantly by the legal aid cuts on the Ministry of Justice Website. Rather than editorialise let me set out the data graphically and allow readers to make up their own minds. 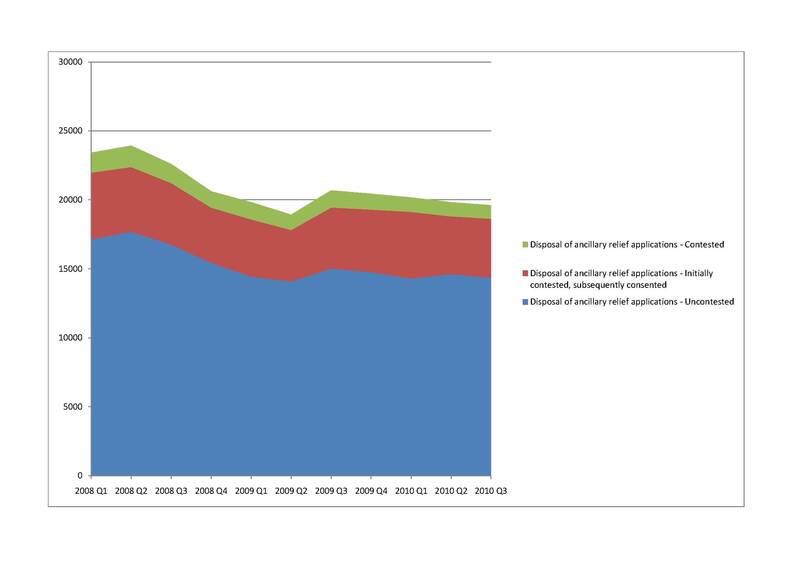 The first graph considers disposal of ancillary relief applications. Next let us consider the number of domestic violence applications made. Now let us consider the private law children applications. 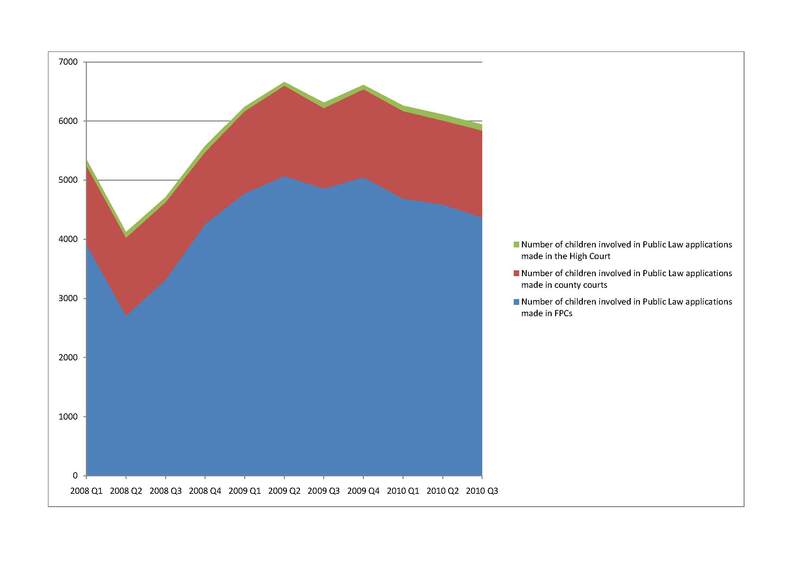 Here the data is recorded as number of children involved in private law applications. Finally, for completeness, let us consider public law cases (driven not by ‘private’ litigants but by decisions of local authorities – and where legal aid is not to be withdrawn). The results (with some more detail) are summarised in the following table. I have calculated the overall change in each application or order type across the three years and an average quarterly change. I’d be very interested in comments from practitioners and others on these trends. Some types of case appear to have risen modestly, others to have declined. Are there explanations for these changes that it is worth exploring?